Home / DDA ASO MARKS 2018 / Final Result / Marks & Rank / DDA ASO MARKS 2018 OUT | Check your Marks & Rank !! DDA ASO MARKS 2018 OUT | Check your Marks & Rank !! DDA ASO MARKS 2018 OUT | Check your Marks & Rank !! 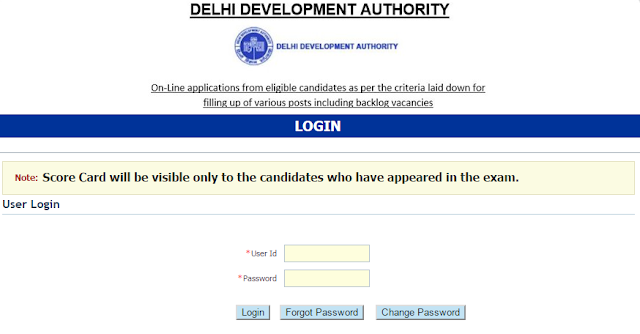 - Delhi Development Authority has Released Online MArks and Rank for DDA ASO Post. DDA ASO MARKS OUT | Check your Marks & Rank - Delhi Development Authority DDA has finally released Online Marks and Rank for ASO examination. The Candidates who has participated in DDA ASO examination 2017 now they acan check online Delhi Development Authority declared marks for DDA ASO 2017-18 examination and other posts for which the recruitment exam held in September 2017.